Ohio statutes use the term “operating a vehicle while intoxicated,” or OVI, to cover impairment by beer, wine, liquor, amphetamines, cocaine, heroin, marijuana, methamphetamines, PCP, prescription painkillers, and salvia. Commercial truck drivers and people younger than 21 have lower legal limits for blood alcohol concentration (BAC). Adults driving their own cars can operate with a BAC below .08. An arrest for OVI may still occur if a law enforcement official sees evidence that he or she considers signs of impairment, but a legal BAC offers a strong defense if a charge based only on the officer’s observations goes to trial. People driving commercial vehicles in Ohio must maintain a BAC below .04. Being found behind the wheel of a tractor-trailer, construction vehicle, bus, or taxi with a higher BAC will result in an automatic commercial driver’s license suspension that also applies to the person’s own personal license. Drivers too young to drink legally must keep their BAC below .02. Consuming a single 12-ounce beer over the course of one hour can raise a high school- or college-aged individual’s BAC above .02. Also relevant to this extremely low underage BAC law, mopeds, scooters, motorized skateboards, and bicycles meet the statutory definition of “vehicle” in Ohio. 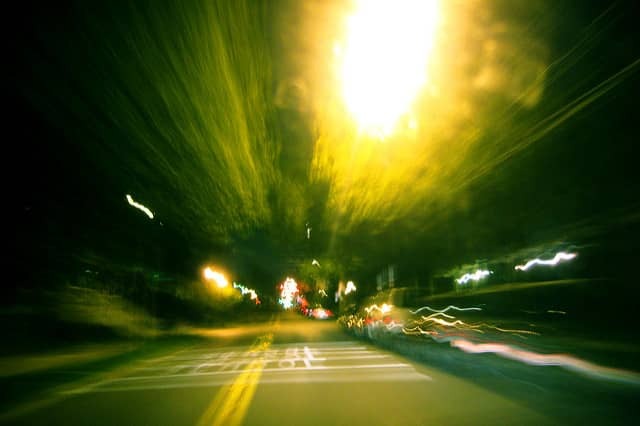 Drivers have legal rights to refuse field sobriety tests and laboratory tests for drug and alcohol use. Ohio police and troopers cannot compel drivers to blow into a breath-testing device, walk a straight line, stand on one leg, or follow a penlight with their eyes while not moving their heads. Most drivers will face no criminal consequences for refusing to perform these field sobriety tests after a traffic stop or at a drunk driving checkpoint. Saying no to field sobriety tests will not prevent an OVI arrest, however. When a person is in custody and under suspicion of driving while impaired, refusing to provide breath, blood, and urine samples is legalfor non-commercial drivers but it will result in an immediate license suspension. Ohio judges impose numerous harsh penalties for impaired driving convictions. The severity of each penalty increases with a second, third, or fourth conviction. No commercial driving is permitted for the entire length of a court-ordered CDL suspension. Incarceration becomes mandatory with a second conviction. All costs associated with fulfilling terms of an OVI sentence, such as servicing an ignition interlock device, must be paid by the person under penalty. Defenses against impaired driving charges exist, and no one can be refused access to a Franklin County drunk driving lawyer. Some possible defenses against OVI charges are outlined here. Speaking with an experienced defense attorney may suggest other strategies for securing an acquittal or negotiating a plea to a less-serious offense. You can get a free consultation with a Franklin County drunk driving lawyer by filling out this online contact form or by calling (614) 205-2208.